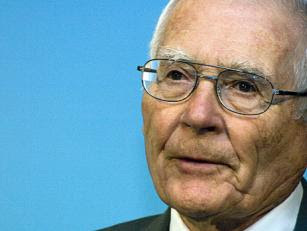 James Lovelock: Climate change could cut world population to 1 billion. What is it with Preeminent Thinkers and intensely bleak public lectures? Two weeks ago Earth Institute economist Jeffrey Sachs, in an address at the Asia Society in New York, argued that climate change cannot be averted without massive use of unproven carbon-capture and sequestration technology and that China will provide little to no political help in curbing emissions. On Monday night at Seattle’s Town Hall, British scientist James Lovelock gave a prediction of the effects of climate change that was even more dire. Efforts to cut greenhouse gas emissions are just fine, he said. They just won’t amount to much. That’s approximately a seventh the world’s current population. Lovelock, who turns 90 next month, made his name in the early 1970s by putting forth the Gaia Hypothesis that the Earth’s physical and biological processes are self-regulating and sustaining, not sentient but in some sense a cohesive “being.” I’m not up-to-speed on Gaia’s complex influence on the scientific establishment, but it’s been ridiculed and dismissed as more metaphysics than science, yet also influential among biologists and ecologists. In more recent books—The Revenge of Gaia and The Vanishing Face of Gaia—Lovelock has turned his attention to “global heating,” his preferred term because “warming” sounds too benign. He alluded to what Gaia has to say about global heating, though he never really spelled it out. Despite the futility of trying to avoid all of the effects of global heating, Lovelock recommended a few measures. He said nuclear and solar thermal power were the only sensible clean energy responses, and that the U.S. might learn from France about safe handling and disposal of nuclear waste. That rankled a number of audience members who pointed out the problem-riddled waste handling project at the Hanford Nuclear Site in eastern Washington. Lovelock also seemed open to trying a number of geoengineering climate fixes. One man asked him about injecting aerosols into the upper atmosphere to reflect solar heat away from the Earth. Jonathan Hiskes is a Grist staff writer.